Seven years after the introduction of the very first Naim Audio all-in-one player NaimUniti, the British hi-fi set now presents the technically and optically revised Uniti series. In our preview, we will examine the four ever-so-highly functioning marvels: Uniti Nova, Uniti Star and Uniti Atom and Uniti Core. An insight emerges directly when the first time a glance at the new Uniti series throws: visually between her and the previous models in the truest sense of the word worlds. While the astonishment on this side should be limited, in view of the obvious bonds with a sinfully expensive series of statements, which already characterized Mu-so and Mu-so Qb and are therefore not so new, on the other hand, one can scarcely hold back a moment This radical cure with regard to the external appearance has hitherto only been reserved for the marginal products of the Naim program. The iconic, bright green logo with the bow has now definitely gone out in the Uniti series and it inevitably closes the question whether – or perhaps when? – also other components are adapted to the new look. Such a clear course correction always entails the danger that some followers may not be willing to take this step, so the decision is definitely brave. However, one must also keep in mind that the updated design offers a whole new set of new elements, which in turn have the potential for the classic: starting with the logo, which clearly indicates the activity of the device, Over the extremely noble housing material to the optically and haptically simple genial rotary control with integrated touch screen. Worth mentioning in this context is surely also the new display, which is definitely no more 80s charm to spray more, but for all important information including the digital album cover is crystal clear and highly resolved. 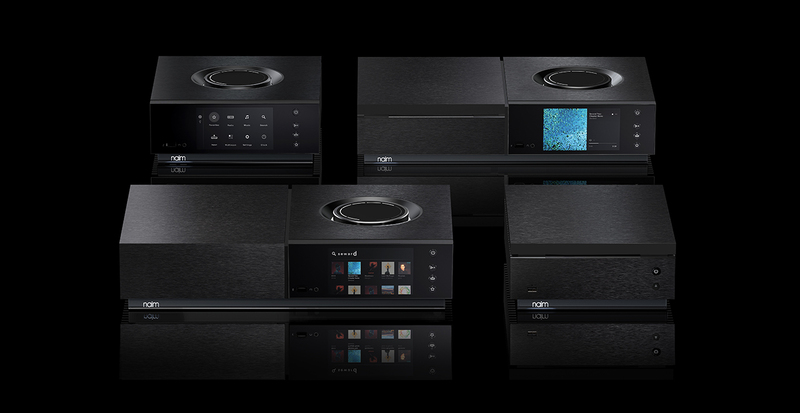 Let us now take a closer look at the four new Uniti models using the information already available. Uniti Nova, Uniti Star, Uniti Atom are basically similar devices, which, however, have a different focus and some have exclusive functions. Typically for all-in-one players, they all have an integrated power amplifier that delivers 80 or 70 and 40 watts of power to 8 ohms. While the Uniti Nova and Uniti Atom are designed solely for the management, bundling and distribution of digital music files, the Uniti Star also features a classic CD drive including ripping. By means of an external storage medium connected via USB, all three models can finally be added to the music server. 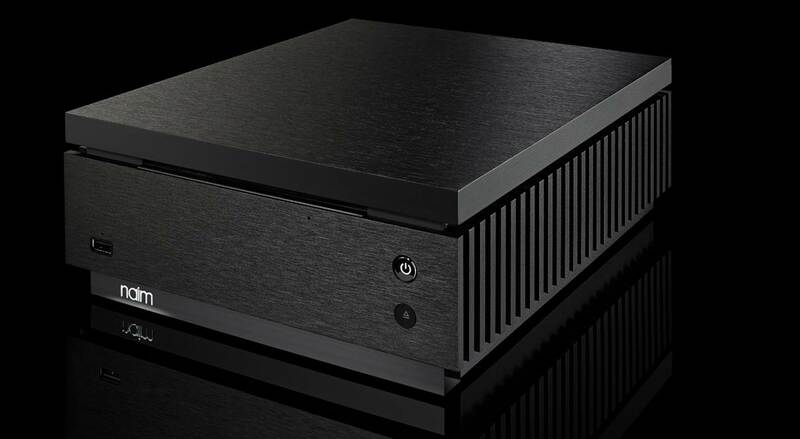 This would also have been the key keyword for the Uniti Core, which instead of an integrated amplifier stage has a hard drive slot (HDD or SSD) and with the likewise integrated CD drive – of course again including ripping functionality – is primarily a music server. In addition, of course, the use as a high-quality CD player necessarily, but in any case you have to do without the comfortable display. Due to its alignment, other analogue and digital sources can also be connected compared to other Uniti players – only one digital output in BNC format, two USB inputs as well as the obligatory Ethernet socket can be found on the device. Uniti Atom, Uniti Star and Uniti Nova have at least one digital coaxial input, two digital TOSLINK interfaces, a front and a rear USB input, an HDMI input (ARC optional) and at least one analog cinch -Entrance. The two larger models are also equipped with the well-known DIN inputs from other Naim products. A look under the new hood of the Naim Uniti series also reveals some innovations as well as a large number of extremely promising features, which we will also briefly present here. Firstly, the completely reworked and extremely powerful DSP architecture would be the core of a 40-bit SHARC processor (analog devices ADSP-21489) in conjunction with high-quality Burr Brown converters. It is on the one hand for the optimal processing and conversion of digital music files up to max. 32 bit / 384 kHz resp. DSD 128, on the other hand it guarantees the smooth interaction of all functions and control possibilities. 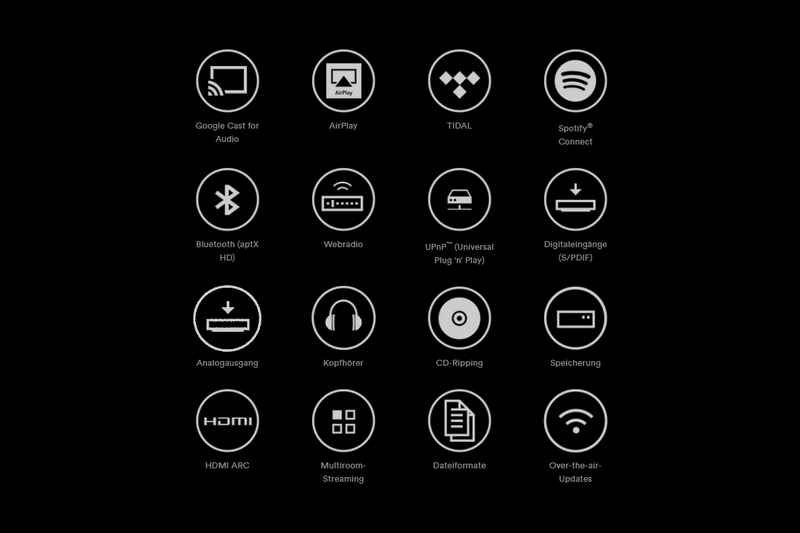 This includes not only the support of Apple AirPlay and Google Cast for Audio, but also the direct integration of TIDAL and Spotify, as well as the new high-definition Bluetooth standard aptX HD, the multiroom streaming (also analogue sources) in up to seven rooms Wireless update capability or synchronized control between device, the Naim app, and the included remote control. This list could be supplemented at this point – for example the naturally existing (Internet) radio functionality or the integrated headphone amplifier – but already this incomplete list makes clear that Naim’s updated Uniti series absolutely right under the banner “All- In-One “. This would be the appropriate final word for our preview in principle synonymous already spoken. It is only indicative of the prospective appearance of the Naim Uniti Core in November 2016 and to express our anticipation for the other devices of the series.